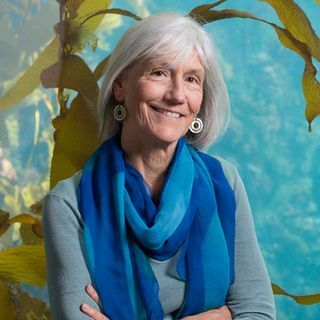 Julie Packard is executive director of the Monterey Bay Aquarium and an international voice for ocean issues. She is a recipient of the Audubon Medal for Conservation, was elected as a Fellow of the American Academy of Arts and Sciences, and was named a California Coastal Hero by the California Coastal Commission and Sunset magazine. She is a member of California's Parks Forward Commission, which is crafting a blueprint for the future of the state's park system, and serves on the boards of the David and Lucile Packard Foundation and the Monterey Bay Aquarium Research Institute. But as I’ve been reflecting over the past few days, one thing has been a constant—how grateful I am to work for an institution that is such a positive force for change, and all made possible by people giving of their time, their support and their conviction.For many of us, this past week has been a time of a time of deep reflection about what the future holds—for our families, for our country and for our planet. All of us working for change—whether ocean conservation or human rights—will face daunting challenges and uncertainty in the time ahead. We must continue to demand change and make it happen—and we will, despite the ups and downs of politics. Thanks to you, the Aquarium will continue to amaze and delight families from all over the world; spark a love of science and nature in young people; offer a sanctuary for wonder and reflection; and become an experience infused in the lifetime memories of millions of people. Here in California, we’ve led the way on ocean conservation, from creating marine protected areas to outlawing the shark fin trade. Just last week, Californians voted to uphold the first ever statewide ban on single-use carryout plastic bags. And this week, the nations of the world are in Marrakech, Morocco for the U.N. climate talks—where Dr. Kyle Van Houtan, our Director of Science, is a leading voice addressing the ocean impacts of climate change. I believe that if there is any silver lining in this time of uncertainty, it will be that people will be more motivated than ever to work for change. And, for those who care about the ocean, we’ll be here to make it happen. My thanks to all who have made a commitment to the Aquarium and to our mission to inspire conservation of the ocean. I’m so proud of all that we’ve accomplished together, and I look forward to many more celebrations of success ahead.